Studio C serves as a 32-track in-and-out (Analog or Digital) music studio and as a vocal narration/radio and advertising production studio. The 20′ x 20′ studio features 8′ ceilings and unique movable wall panels which can alter the studio’s acoustical characteristics from “soft” to “bright”. It can also interconnect with Studios A and B to accommodate special requirements. Studio C is the perfect solution for smaller bands. 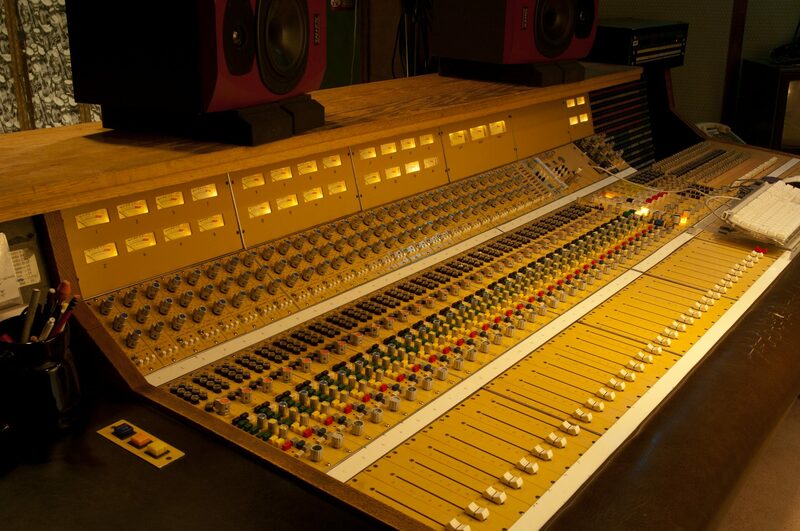 The classic analog tone of the API console is a great solution for bands who are trying to cut a demo or EP.